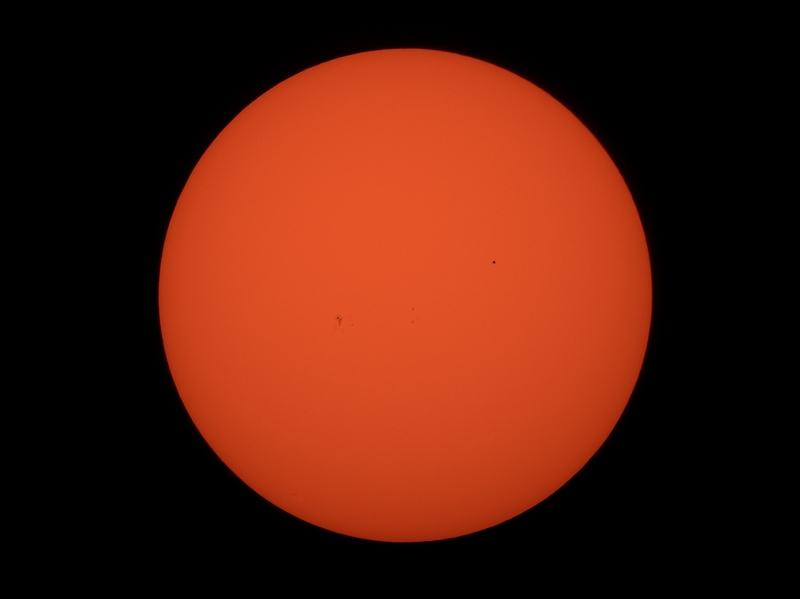 Here is an image of the Mercury transit that occurred on May 9'th, 2016. The image is from a single exposure processed in Images Plus. Scroll down for a more detailed crop. It's interesting to note the size of the planet's shadow relative to the sunspot group to the lower left. 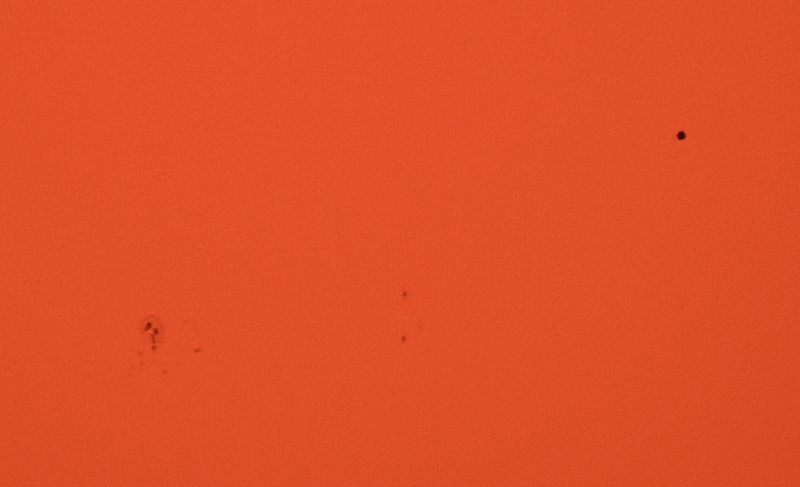 The sunspot group is bigger than Mercury's shadow even though it was over 67,000,000 km further away! Optics Prime focus of a 200mm SkyWatcher f/5 Newtonian reflector with Televu Paracor for a total focal length of 1150 mm, Thousand Oaks Solar Filter. Processing This image was processed entirely in Images Plus. Statistical filter, arcsinH stretch, and sharpening.